When the Yankees acquired a young shortstop from the Arizona Diamondbacks with an eccentric name following the 2014 season, I didn't expect much out of the player who also happened to be knighted in the Netherlands. 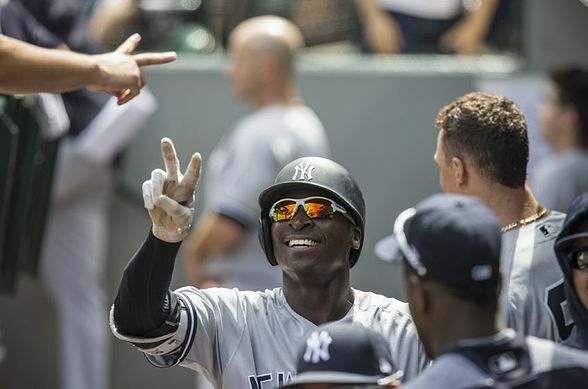 Didi Gregorius has emerged as an integral part of the Yankees roster. 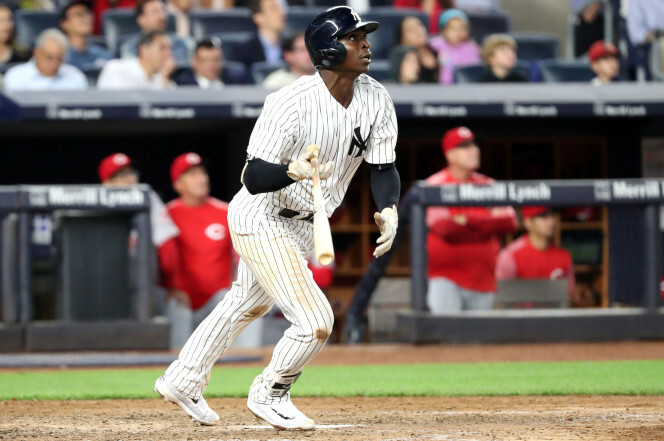 Dating back to his first season with the Yankees in 2015, Gregorius has gotten progressively better throughout the course of his tenure in the Bronx. This season, however, Gregorius has taken yet another impressive step forward. He has emerged as one of the best shortstops in the league. Flashing impressive signs of power, gold glove defense, and the ability to get on base, Gregorius made a strong case for an All-Star appearance. During parts of three seasons with the Cincinnati Reds and then Diamondbacks, Gregorius showed promise as a defender, while putting up comparatively mediocre offensive numbers. Gregorius was the centerpiece of a three-team deal between the Yankees, Diamondbacks, and Detroit Tigers, in which the Yankees surrendered once promising starting pitcher, and subsequent bust, Shane Greene. Succeeding the legend of Derek Jeter was no easy task for the then 25-year old. Filling Jeter's shoes is no easy, and some would arguable an impossible, task to complete; however, Gregorius has done as good of a job as anyone could have imagined. Despite struggling out of the gate for the Bombers in 2015, Gregorius rebounded as the season progressed to put up numbers respectable enough to give the Yankees a reason to remain optimistic about him being the shortstop for years to come, hitting .265 with nine homers and 56 RBIs in 155 games. Yours truly was guilty of berating Gregorius in a post that May, but I won't navigate down that road at the moment, for the sake of my own personal credibility. The 2016 season was another step forward for Gregorius, as it became he clear he was getting comfortable with his role in New York. Hitting .276 with 20 home runs and 70 RBIs, Gregorius established himself as one of the lone bright spots in a Yankees lineup that struggled profusely for most of the season. The 2017 season has been yet another step forward for Gregorius, and perhaps the most impressive one yet. As of the writing of this article, Gregorius is in the midst of a hot streak. Despite missing the first month of the season due to an injury suffered while playing for the Netherlands during the World Baseball Classic, Gregorius has not missed a beat. He's on track to have by far the best season of his young career. In 77 games, Gregorius already has 17 home runs and 46 RBIs, while consistently batting over .300. The deal for Gregorius is by far one of GM Brian Cashman's best moves, considering the Bombers gave up essentially nothing for a long-term answer at shortstop. I decided to write this article over the weekend, after watching Gregorius go deep in the first multi-home run game of his career. I began to wonder how this no name/low cost young player transformed into one of the most popular, and productive, members of the Yankees roster. Not only has Didi done an amazing job at getting on base, but he's also become a power threat, making the Yankees lineup even deeper and threatening to opposing pitchers. Gregorius' power stroke is tailor made for the short porch at Yankee Stadium. We can expect him to hit homers here for years to come. A power hitting shortstop. How rare are those? When Gregorius first arrived to the Bronx, it was clear that he was beyond nervous. After a rocky start both with the bat and glove, which required some well-documented assisstance from former teammate Alex Rodriguez, Gregorius turned an important corner. 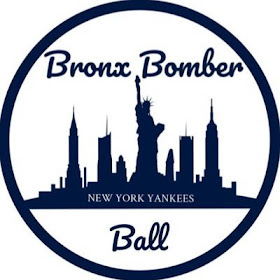 There's a learning curve for most players who come to the Bronx. Playing in New York is no easy feat. Some players succumb to the pressure. Others shine. It's safe to say at this point in time that Gregorius falls into the latter category. I've already discussed the substantial improvement in Gregorius' quantitative numbers, but I must touch upon what has impressed me the most about the 27-year old, and that's his heart. Gregorius clearly enjoys what he does. He loves being the shortstop for the New York Yankees. In fact, he thrives in this environment. Similar to Aaron Judge, Gregorius is a team-first player. Though he is often a huge factor in Yankees' victories, Didi never references himself in his famous emoji ridden tweets that follow team wins. Instead, he selflessly makes it about his teammates. This is the mindset of a winner. It seems as if Gregorius continues to get big hit after big hit. In a year that has been (rightfully) about youngsters such as Judge, Gary Sanchez, and Luis Severino, Gregorius has absolutely shined. 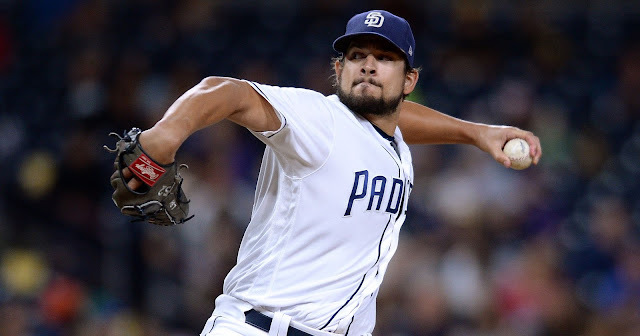 The Yankees may not have known it at first, but they have a long-term answer at short. 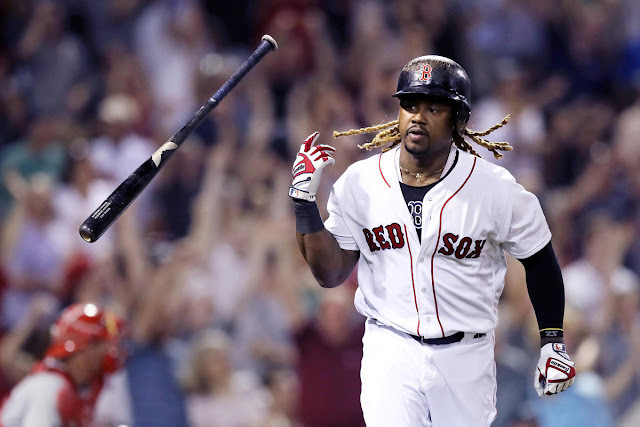 With even more Baby Bombers knocking on the door, many fans will want to see the young stars get some Major League playing time in the foreseeable future. Fortunately for Gregorius, he is here to stay. This is decidedly clear. It's an absolute pleasure to watch Gregorius play every day. He has fun playing the game, and that is the number one reason for his continued success. Godspeed, Didi!